As you could already hear in the upcoming preseason, we are waiting for numerous changes, like in the in-game mechanics – completely changed runes and masteries, and changes in the promotion of your summoner’s level. In this article, we will look in details to all the upcoming changes, but first – the short list of new changes for the most impatient readers. LEVELS AND REWARDS | F.A.Q. When will the preseason of LoL start? – In the early November, Riot Games said that the preseason will start around of 8 November. When will the Season 8 of LoL start? – As the next season is expected to have many updates, the preseason will last a little longer than usual, but at the beginning of January 2018, we hope that the new LoL Season 8 will begin. I already played enough of matches to reach 100+ level, will be my efforts compensated? – No, you will not be rewarded, because you already received your rewards as IP (Influence Points). This system was introduced to give you new, easily achievable goals, and also worthy rewards for your efforts. Consider that you were given a huge space for further development! So, at least, will I receive a reward for 1-30 levels, I reached it months ago. – And again the answer is No. You already received all your rewards. New players will receive a reward in the same amount as you received in due time, but only it will be issued in the form of a blue essence. Will be the Summoner’s maximum level capped? – No, you will not be able to reach the maximum level, promote your account to the infinity and beyond! What rewards can I receive after 30 level? – If for each match you previously received IP then now you will receive an open chest for each new level of the account. Many of these chests contain fragments of champions, but at certain levels (50, 75, 100, etc.) you will be awarded with unique in-game awards that will highlight your merits in the LoL. How quickly can I open new LoL champions with this new system? – You will be able to unlock new champions even faster with this new system. The main reason – with each level you will receive blue essence and various champion shards. And of course, do not forget that you did not need any runes anymore. I already stocked a lot of IP, will it be deleted? – Of course no, it will be exchanged for the equivalent amount of blue essence. So if you save your Influence Points on something, then do not worry! Will we receive blue essence after each game, like we received IP before? – No, blue essence will be available only from the chests, and from the disenchanting of various fragments of champions. And I think that’s all important questions about the new LoL leveling reward system, so we can speak about in details. The requirements to buy runes strongly slowed the players in their desire to buy new champions. Many players with rich experience have accumulated terrifying reserves of IP and simply do not know how to spend them. The process of unlocking new champions was too monotone. And Riot Games make all new runes Free during the preseason, and this is a happy news for all newcomers in LoL! No more spends on runes, now you can focus on unlocking new champions. Awards for higher levels will give you the motivation to continue playing. The rewards are not always the same – the higher your summoner level, the better reward you will get. 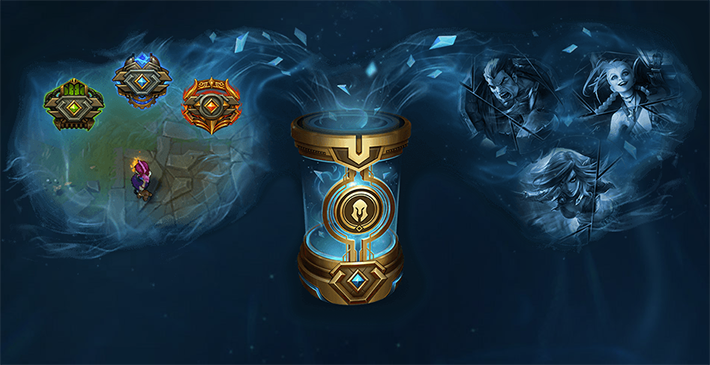 Instead of the usual influence points, players will receive special cases in which they will discover a new currency – blue essence, as well as fragments of champions that can be exchanged for a blue essence. Also, champion fragments are used to unlock new game characters, which will allow players to expand their champions’ pool faster. But why did they decide to unite the IP and the blue essence? Just not to add millions of different currencies for different things. Unification has always been good. And do not worry because of the huge numbers that you can see on your screen, the prices will remain the same, just the numbers will increase greatly. And this is not all the changes that the developers have prepared for us. For example, they are going to completely remake the looting system, which would collaborate with a new system of obtaining levels and would be more useful for the community. Thanks to all these changes, players will be able to receive much more shards, and that’s why it was decided to reduce the amount of blue essence given out for the disenchant. Now dusting the champion fragment you will get about 1/3 of its cost, the developers are planning to reduce this value to about 1/5 of the cost. 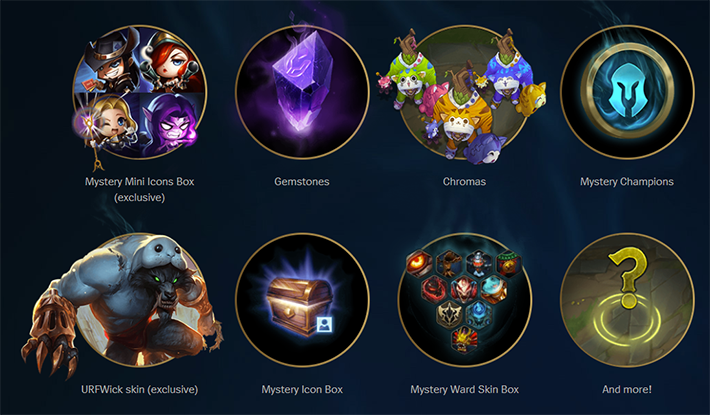 Currently, players have many different shards, and that’s why the possibility of their exchange for champions will be temporarily disabled, but a new system for selling mysterious champions for blue essence will be introduced. Boosteria strongly recommends to disenchant or exchanging all currently available champion shards to prepare for the upcoming season 8. During the preseason will be opened a great sale, where they plan to sell a lot of unique things. This sale will be held every year, so we recommend to save a blue essence until the end of the season to buy a lot of useful things here unless you have a hot desire to acquire a champion. Keep an eye out for the news, but developers plan to hold this sale only once a year, but in return, you can expect a lot of unique products, such as totem skins and various emotions. This year, at the sale, you can find the URFwick skin, and it will be sold updated, just like Riven-Champion. Those who already have the original will also receive an updated version as well as a unique frame. For those who are worried about their IP and XP bonuses, I have good news for you! XP bonuses will remain unchanged and any active bonuses will remain with you in the preseason. With IP bonuses, the situation is somewhat different, the IP are completely removed from the game and this bonus will be useless, but all remaining time will be compensated to you by a similar XP bonus. To summarize, I want to remind you that all prices in the store are indicated using the old system of influence points. When disenchanting shards you used to get only a couple hundred units of currency, but in the preseason this amount will be increased dramatically. For example, if you had 975 blue essences, then after the update you will get 6300. If you are worried that you will lose the opportunity to unlock new champions at the same speed as before, then these are groundless worries. Up to level 100, you will receive champions a little faster, thanks to these very fragments. In period 100-150 you do not notice any differences in the promoting speed, but after level 150 you will see some slowdown of the process. This is due to the fact that each next level requires a bit more experience than the previous one. I like the new system which was invented in League a lot. It much better than previous one. Especially crafting started to shine.